Thu., 16 Jan. - Sun., 19 Jan. Sat., 7 Sep. - Wed., 11 Sep. Mon., 23 Dec. - Fri., 3 Jan. Mon., 23 Sep. - Sat., 28 Sep.
Wed., 5 Jun. - Thu., 13 Jun. Wed., 17 Jul. - Fri., 19 Jul. Sun., 22 Sep. - Sat., 28 Sep. 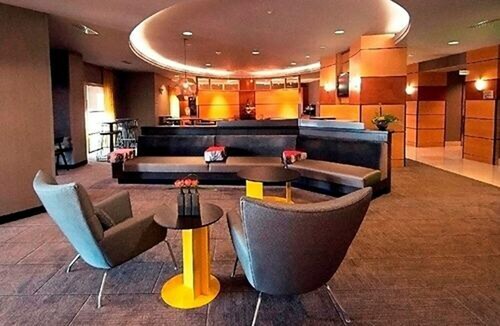 Situated near the airport, this hotel is 0.7 mi (1.1 km) from Kentucky Exposition Center and within 3 mi (5 km) of Cardinal Stadium and Churchill Downs. 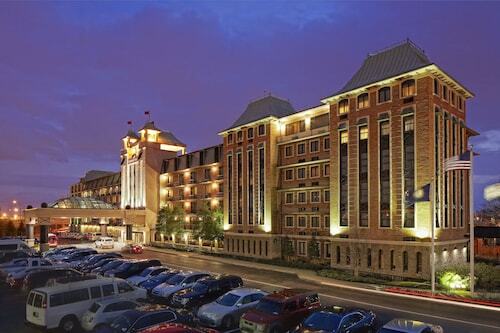 University of Louisville and Louisville Palace are also within 6 mi (10 km). 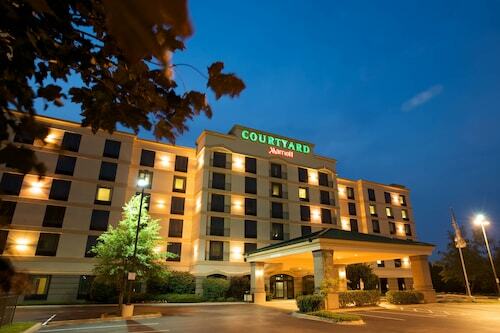 Situated near the airport, this hotel is within 2 mi (3 km) of Freedom Hall, Kentucky Exposition Center, and Kentucky Kingdom. Churchill Downs and University of Louisville are also within 3 mi (5 km). 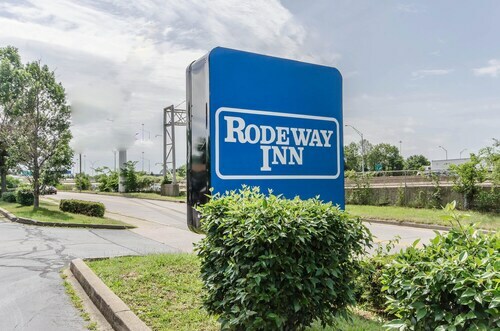 Located in the heart of Louisville, this motel is within 2 mi (3 km) of Freedom Hall, Kentucky Exposition Center, and Kentucky Kingdom. Churchill Downs and University of Louisville are also within 3 mi (5 km). Question : What is the cheapest date to fly to Louisville? Answer : Apr 30th has bookings (as of Apr 15th) as cheap as $277. That comes in 52% below the average price for this route. Saving now gives you more moolah in your pocket. Answer : Yes, you can change your departure or arrival date. If you want to save some funds in doing so, the lowest-cost day to fly in April is Tuesday. If you like to go with the flow, you may just find that you can pocket some additional cash. Question : How long do most people stay in Louisville? Answer : Of course, you're not most people, but if you were, you'd stay about seven days. Question : How much is a plane ticket to Louisville (SDF) from Toronto (YYZ)? Answer : Cost can range anywhere from $267 to $1,606, prices for YYZ to SDF do change much more than the majority of routes from Canada. However, usually the sooner you book, the better the price. Answer : The cheapest day to fly from Toronto to Louisville is on Tuesday. If you want to save some cash on your next holiday look for flights on that day. Question : What is the cheapest airline flying from Toronto to Louisville? Answer : Delta Air Lines is offering the best deal at $267. Better grab that deal quickly because prices range all the way up to $1,606 over the next three months. Question : Which airline has the least delays from Toronto to Louisville? Answer : The current leader is UPS with a 49% on-time rate. 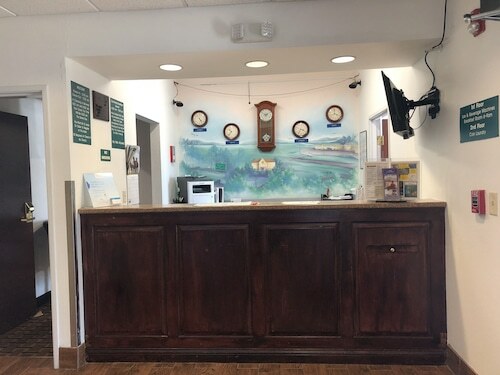 Life has too much to offer to spend it waiting in an airport, so check out UPS to get in and out of airports as quickly as possible. Note that if they do have a delay, it usually lasts about 45 minutes.